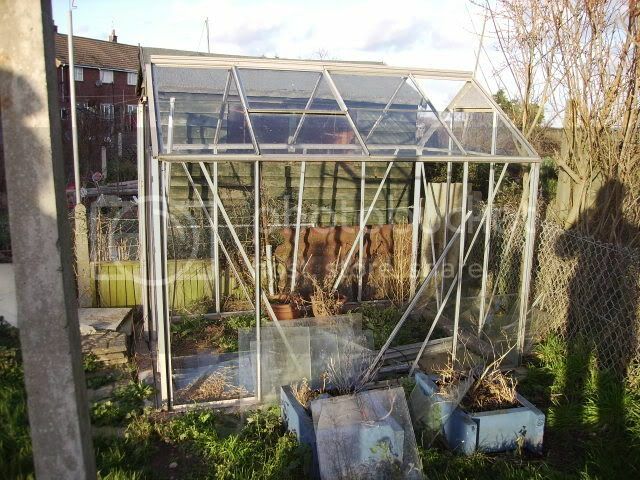 Karl, i'm not far behind you - picked up my third greenhouse yesterday (8x6) aluminium, with base, polycarb glazing - FOC. Was well chuffed! also had staging, pots, trays and capillary matting. 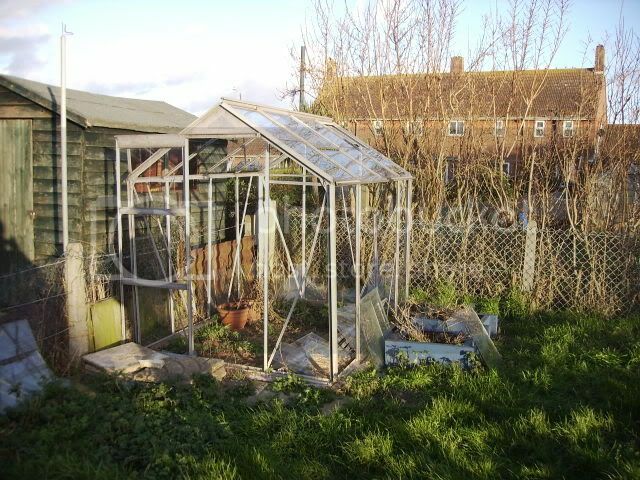 "had a old lady knock on my door today .she asked are you karl ,, yups mum i said , mrs obionekinobi ( not her real name ) said you may be able to help me with a bit of fencing ,,, cours i can i said..... "
I wonder if I may be gifted a shed or greenhouse? After all I did rescue a 'Slow_Worm' hence my nick, when I first dug my alloment the other week and dug one up that as still hibernating!! Luckily I found him a nice new pad amonst some broken roof tiles! Nice one Munty! Extra greenhouses are like when you move to a bigger house with more rooms - you still manage to fill em to the brim! Happy growing!